A PROFESSIONAL ARTIST FINDS A FRENCH-INSPIRED ESTATE IN AN UNLIKELY PLACE AND FILLS IT WITH ART AND BEAUTY. THE EXTERIOR OF ALLAYN’S HOME says “Bienvenue!” with genuine European artifacts that are built right into the residence, like the old French jailhouse front door and the antique windows. 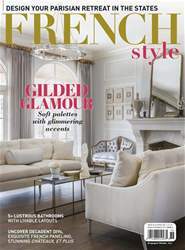 “This home exudes French style from the first glance”, Allayn says. SOMETIMES, A HOUSE SINGS YOUR HEART’S SONG EVEN BEFORE YOU MOVE IN—and sometimes that song is in French! When professional artist Allayn Stevens first toured the 1970s California property that would become her home, she felt as though she’d been swept away to Provence. “The Swiss family who built the place created an Old World escape”, Allayn says. 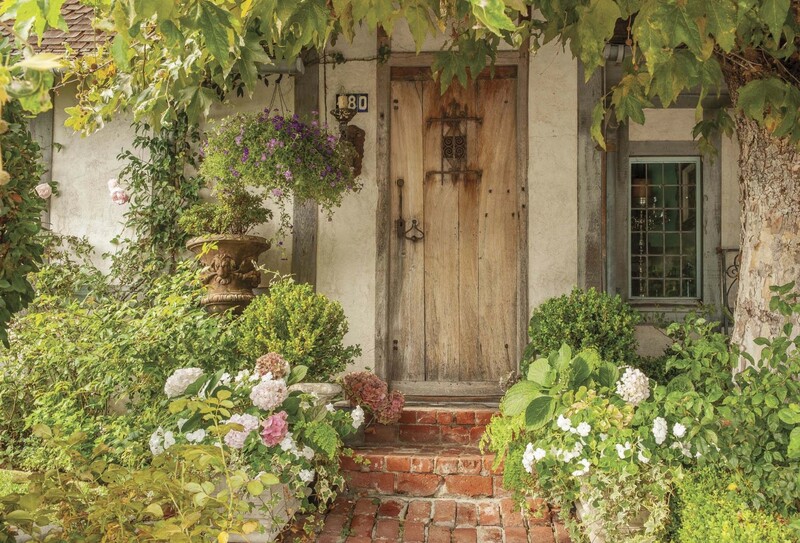 “As I walked around it for the first time, I didn’t feel like I was in Laguna Beach.” From the front door, which is an old French jail door, to the windows and latches brought from Europe, the original owners filled the home with one-ofa- kind pieces that tell a rustic and romantic story. Allayn has honored the house’s style and enhanced it with finds from flea markets and antiques stores and, of course, her own artwork.